Complacency is the antithesis of success. And no one becomes rich by doing ‘just enough.’ In financial markets, it’s no different. If you want to become a successful trader – or take your day trading ​to the professional level – you need to soak up as much information as you can. I mean, the markets are constantly changing. And you’ll lose more than just your pride if you fall behind. But don’t worry, we have the best day trading books for your library. We’ll outline some of the most important reads to help keep your trading skills sharp. As the founder of Warrior Trading, Ross Cameron gives you an inside look into his day trading strategies like the gap and go strategy and on how to choose the right stocks, manage risks and find proper entry and exit points. 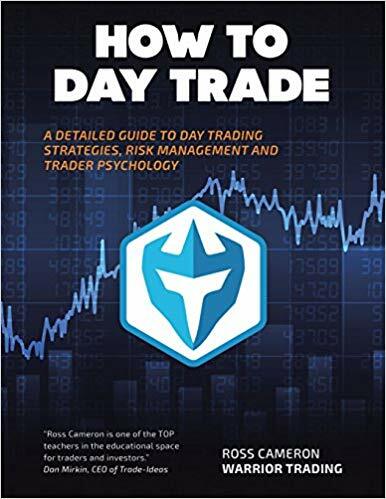 But before getting into strategy, How to Day Trade first introduces you to Cameron’s two most important themes: how to find predictable volatility with stock sc​​anners like Trade Ideas and how to manage risk. By perfecting both, you can learn how to make money even if your trades are only right 50% of the time. Beyond strategy, it has to be the explanation of investor psychology. Cameron spends plenty of time discussing why the majority of traders fail and how to avoid the pitfalls he fell prey to early in his trading days. Moreover, you also receive a wealth of knowledge about trade formatting as well as learn tips and tricks to help set you apart from the average trader. Ross Cameron ​also offers one of the best trading courses​ for beginners. 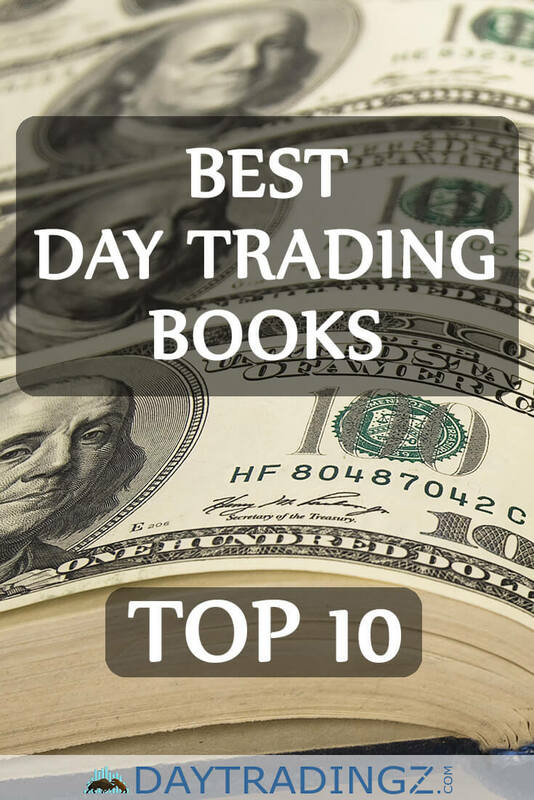 As one of best day trading books out there, How to Trade for a Living has you covered from top to bottom. Even with zero experience, Andrew Aziz outlines where to start, what to expect and how to develop a strategy. 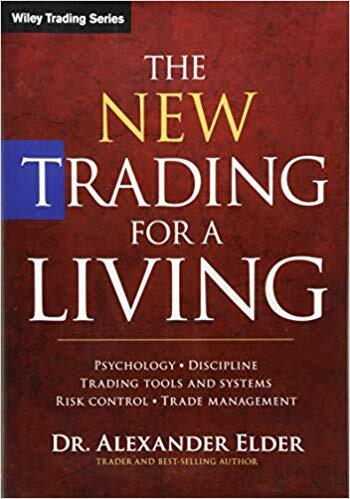 If you’re new to trading, this is your go-to book. 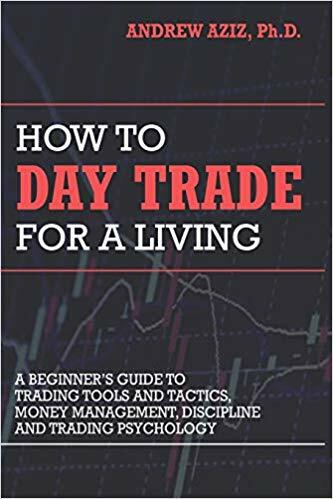 And with over 846 five-star reviews, How to Day Trade for a Living is a great addition to any trading library. 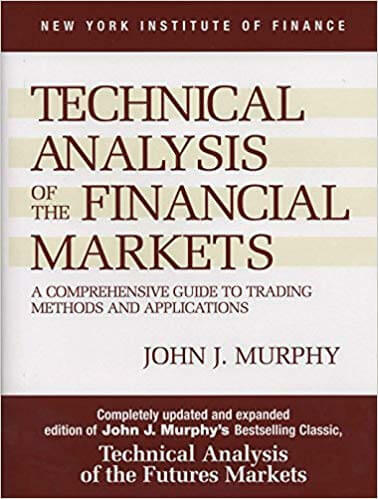 Sporting an outstanding resume, John J. Murphy was the former director of Merrill Lynch’s Technical Analysis Futures Division and a former technical analyst for CNBC. Covering all of the essentials, Technical Analysis of Financial Markets teaches you about intermarket relationships, stock rotation as well as provides state-of-the-art examples and case studies. Undoubtedly, readers enjoy knowing the content comes from a reliable source. With over 40 years’ experience as well as holding a top position at one of the most prestigious investment banks on Wall Street, John J. Murphy has plenty of credibility to back up his claims. More importantly, the book teaches you how institutional investors approach trading in financial markets. Considering institutions make up roughly 90% of all trading volume, gaining insight into their thinking is essential to become a successful trader. The charting manual for investors. ​To profit as a trader, you need to understand technicals. Price action, volume and investor sentiment are at the core of short-term market movements. With over 25 years’ experience trading the market, Charting and Technical Analysis tells you who is buying, who is selling and how to take advantage of it. Without a doubt, it’s applicability. Rather than focusing solely on theory, McAllen provides real-world examples to help you trade and invest like the pros. More importantly, instead of using complicated financial jargon, Charting and Technical Analysis explains strategies in ways every reader can understand. As well, the book goes beyond the adage of ‘buy low and sell high.’ You receive detailed instruction on what’s moving the market, the best time of da​​y to buy stocks and when you need to move your money to safety. As an updated version of one of the best day trading books of all time, Alexander Elder takes you into the world of the modern trader. Financial markets continue to evolve. And with that comes complexity. Strategies that were once profitable don’t always work to the level they used too. This is where The New Trading for a Living comes in. The book provides templates for finding stock picks, creating trade plans and even rating your own readiness to enter the arena. With practical illustration, updated charting strategies and easily understandable language, Elder teaches you a systematic approach to trading in modern markets. The New Trading for a Living offers both a tactical and holistic approach to day trading. The books teachings center around knowledge, focus as discipline. As well, your copy includes a study guide with over 170 multiple choice questions divided among eleven chapters. The guide also contains 17 charts where you can test how well you recognize trading signals and patterns. If you’re a small-cap ​enthusiast, this book is for you. Using Timothy Sykes penny stock training programs, The Complete Penny Stock Course teaches you why 90% of traders lose money in the markets. The book first introduces you to market and trading psychology. Next, it covers the basics of day trading, how to manage risk and the how to use tools perfected by successful traders. And best for all – the book comes with real world examples and case studies to help you absorb the content. Many readers are drawn to the scope of the curriculum. The course provides an in-depth explanation of all facets related to penny stock trading and does so in a professional and organized fashion. 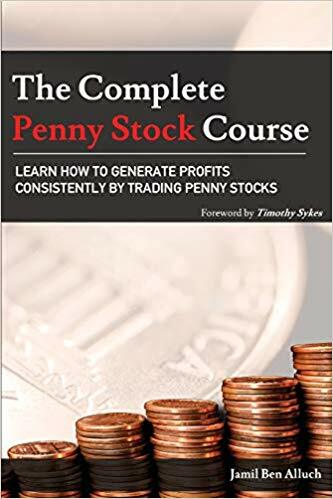 More importantly, The Complete Penny Stock Course allows you to learn at your own pace and continuously build your trading knowledge as you progress through each chapter. ​Following-up his original book we mentioned above, Andrew Aziz is back at it again. This time he’s targeting advanced traders. 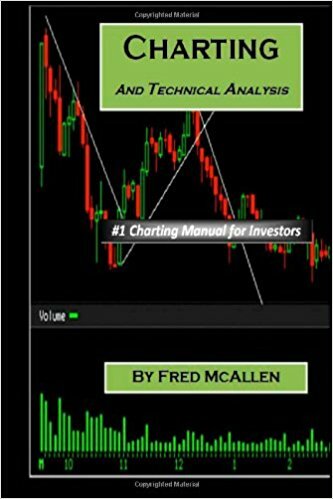 Advanced Techniques in Day Trading expands on his beginner edition by first providing an in-depth look at the best trading scanners, software and trading platforms. Next, he outlines how to spot the right stocks, how to trade support and resistance and how to manage stress when you’re in the heat of the battle. It has to be practicality. Advanced Techniques in Day Trading provides detailed analysis of what to look for and provides step-by-step instruction of how to use trading scanners. The book also covers how to implement profitable risk-reward ratios. More importantly, he emphasizes diligent risk management to keep your bankroll a-float even during rough times. 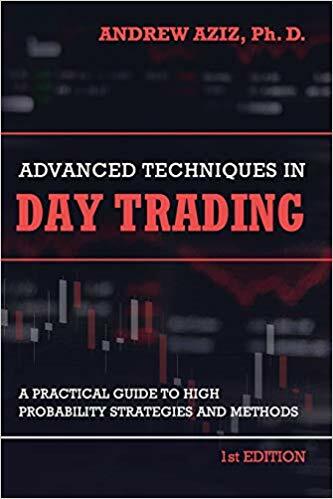 As an advanced technical analyst, Nison’s book outlines how versatile candlestick charting can be and how coupling it with other technical tools can add synergies to your trading game. 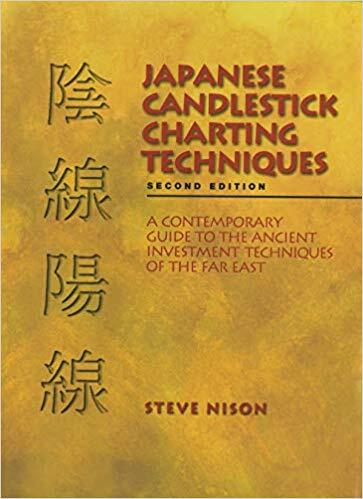 Written in clear and concise language, Japanese Candlestick Charting Techniques provides an inside-look into years of Nison’s studies, research and experience within financial market analysis. He also holds the Chartered Market Technician (CMT) designation, which adds a lot of credibility to his teachings. Japanese Candlestick Charting Techniques doesn’t just touch the surface of technical analysis, it goes into great detail about how and why the techniques work. As well, it includes hundreds of examples showing how Japanese charting techniques can be applied to almost any market. Nison also explains how candles provide early reversal signs, improve market timing and how to use ​them for ​swing tra​​ding strategies. What’s more, the book also outlines the differences between Japanese and Western forms of technical analysis and how knowledge of both can give you a leg-up on the competition. 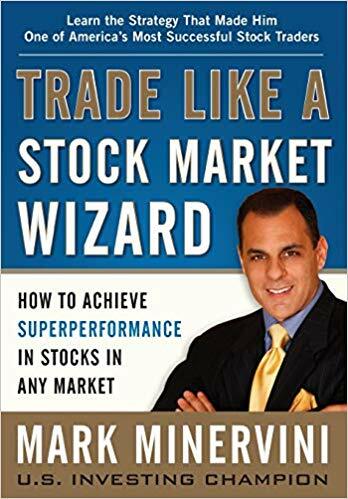 As a former US Investing Champion, Trade Like a Stock Market Wizard reveals the strategies that helped Mark Minervini achieve a 220% return per year over a five year span. While detailing his proprietary Specific Entry Point Analysis (SEPA) method, Minervini also touches on topics such as risk management, self-analysis and perseverance. Again, it’s all in the details. With over 160 examples and case studies as well as recreations and commentary from Minervini’s personal trades, Trade Like a Stock Market Wizards provides you full access to his proprietary stock system. As well, he also puts a lot of emphasis on trading psychology and explaining why his teachings can separate you from the average trader. Aside from strategy, the book also teaches you how to prepare your mind for stock trading. Using a motivating and uplifting tone, Minervini helps give you the confidence you need to succeed in the market. If you believe in quant or algorithmic trading, this book is for you. The 30-Minute Stock Trader provides set-by-step instruction on how to create your own automated stock trading strategy. Using historical price data and statistical back-testing, Bensdrop outlines a series of coding instructions that allow your computer to do all of the heavy lifting. Readers are definitely drawn to Bensdrop’s innovative approach. 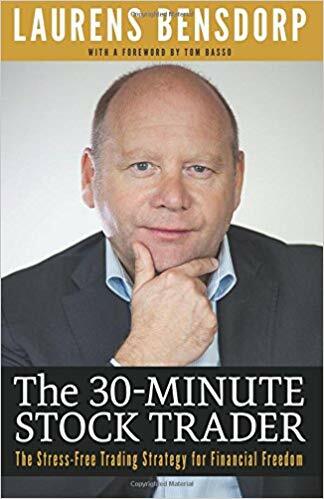 By combining trading psychology with technical analysis, statistics and positon-sizing principles, The 30-Minute Stock Trader reveals the type of strategies used by some of the largest quant hedge funds. In trading, speed is everything. Trying to process vast amounts of data is a near impossible task – even for the most successful traders. With Bensdrop’s strategies, you can gain that speed advantage by programing the day trading co​​mputer to make decisions without thinking. And by automating the entire process, traders spend less time in front of the computer screen and more time doing the things they love. ​When it comes to beating the market, knowledge is power. Professional investors have entire trading floors filled with great minds. Really, hundreds of employees combining their knowledge to help one another become better traders. To keep up, you need to continue learning and push yourself to new levels. And getting your hands on some of our best day trading books is just the place to start.